While the cutting-edge Regera is entering series production, Koenigsegg is also working on both the Agera’s replacement, a future four-door car and making camless engines a reality. The company is hiring too, so if you feel like being part of all this, now is the time to give them a call. There’s no question that the ultimate star of the 2016 Geneva Motor Show was painted red instead of blue. Bugatti’s old school approach just can’t compete with Koenigsegg’s creative genius, but that’s hardly surprising knowing that his latest creation is a 1,500 horsepower hybrid with flappy paddles—but no gearbox. The Regera was also designed to be a comfortable road car at first and not something you use to break lap records with at any given race track. Yet this gran turismo will still accelerate from 93 mph to 155 mph in just 3.9 seconds. They say it will also climb above 400 km/h, being limited to 250mph only by the 1,100hp V8's redline, while under 30mph, you still get 482 horses at your disposal in full electric mode. That’s Koenigsegg’s idea for a Prius done right. But power isn’t everything. Year after year, Koenigsegg also keeps coming up with more efficient parts all across the cars. Lighter carbon fiber tubs and panels, 3D-printed titanium pieces, hollow carbon wheels and the most advanced batteries thanks to parners like Rimac. The Regera is the sum of all these innovations perfected to the level of series production. No wonder why Koenigsegg’s cars end up looking at the laws of physics just briefly before breaking them with ease all the time. But this is the past already, which becomes evident once you take a look at what they put on display at Geneva. For the first time ever, Koenigsegg had three cars to show us. The “most common” was one of the 25 Agera RSs the company will finish building towards the end of 2017. If you’re curious to see how one gets made, follow #Build128 on their blog, because that car is also headed for America. This very yellow object is their track tool, and with 1160hp and 944 foot pounds of torque on 95 RON fuel, it’s not something you gonna catch with your beefed up Porsche. Or McLaren P1 for that matter, although I would love to see one try, engaging full flamethrower mode, no doubt. Koenigsegg’s other Agera painted Alba Orange was one of the three Final cars they make before announcing something even faster. Basically, this last trio gives buyers the opportunity to buy a One:1 without having to buy a One:1. The Agera’s power output can be raised to One:1 levels, but to make sure those six people spending their hard earned millions on One:1s don’t get pissed off at Koenigsegg, the One of 1 ended up a with a totally custom aero package that won’t be replicated. That includes a new top-mounted rear wing with a second blade, and other one-offs like the roof-mounted air intake, the shield mesh at the rear, the 3D Printed twin-exit titanium exhaust, the venturi at the back, the triple winglets on front bumper, the front splitter and its interior switchgear. Last but not least, Koenigsegg unveiled the Regera, a stunning peek into the future that pretty much made me forget about special edition Lamborghinis or cleverly lightened Paganis in an instant. For the same sort of money, you can always buy a Bugatti, and I totally get that. To each his own. 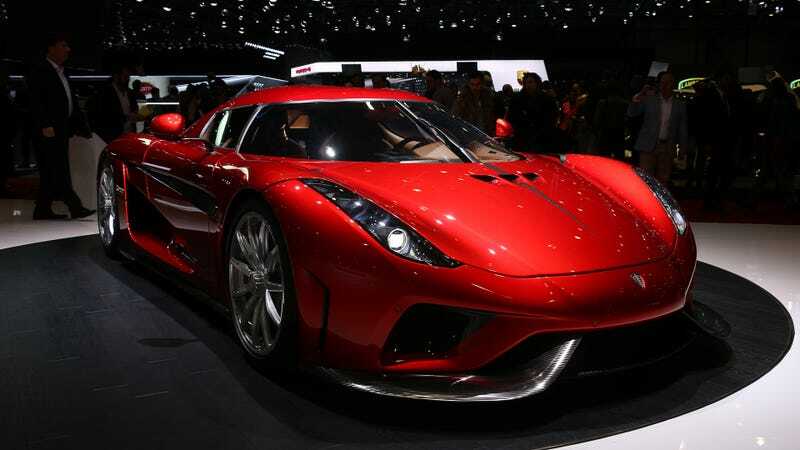 But they will only build 80 of these, which makes the Regera much more exclusive, and cheaper too at $1.9 Million. Also, by spending that money in Sweden, you’ll help this company go further with its innovations. Most of which will filter down to us, eventually. Christian von Koenigsegg’s daily driver is a Tesla Model S P85D. I believe it’s his third Tesla by now, if not the forth. Top Gear managed to ask him what’s up apart from that. I’m very grateful for that, because I didn’t get to talk to him this time, partly thanks to Boosted Boris and his all important questions about design and capitalism. Koenigsegg told Top Gear that while they won’t build an SUV because “he is not a fan”, a four-door car has been on the drawing board for quite a while. As they launch the Regera and work on the Agera’s successor, it’s unclear when that can come to life, but I bet the final product will be faster than any Tesla, especially if Rimac will have a say in it. What’s more, Christian would also build a full-electric hypercar once the batteries get light enough. That’s an idea McLaren is toying with as well at the moment for the P1's replacement. In the meantime, Koenigsegg won’t abandon internal combustion either, and that’s good news for all of us. We converted a Saab 9-5 to run on Freevalve technology at least eight years ago now. [...] The biggest change was from Gen 4 to Gen 5, which was about the time we started talking to big OEM’s about it. The OEM’s were quite cautious because it’s a big change to have the valves completely independent from your traditional timing gear. The OEM’s wanted to know exactly where the valve was/is at any given time, so from Gen 4 to Gen 5 we had to develop and install a valve position sensor to give them that information. We knew the FreeValve system was reliable because we’d done plenty of everyday driving and testing with it, but they wanted this position sensor to see exactly what was going on inside the cylinder head at any given time. We looked for the right sensor for four years. One was too big. Another was good at some things but not at others. This one would over-heat. That one wouldn’t fit. Nothing would work the way we wanted it to. As their production numbers grow, so does the headcount, meaning that Koenigsegg is hiring right now. Engineers, technicians, other talented people down with moving to Sweden, good luck, because industrial history is being made right now in Ängelholm, and it’s not a bad idea to be there. I’ll leave you with this, some private time with the all-new Koenigsegg Regera. 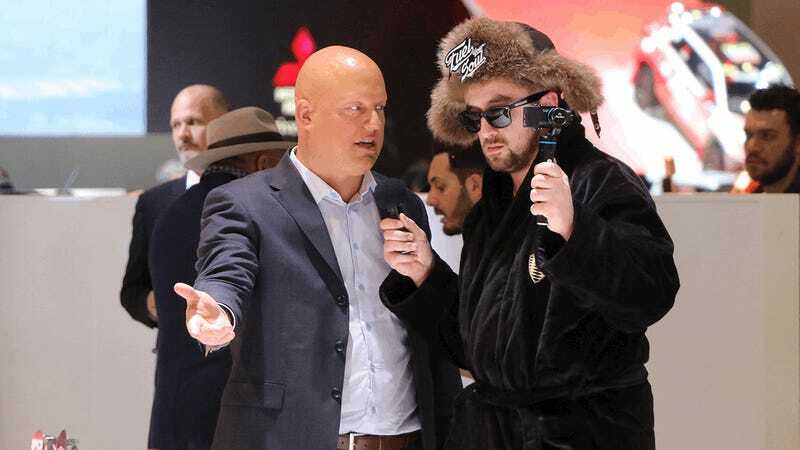 Photo credit: Máté Petrány/Jalopnik and Koenigsegg.